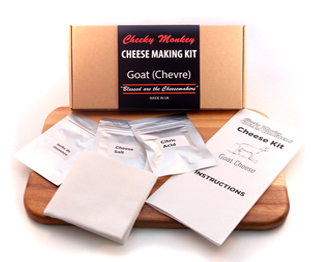 Cheese Making Kit – Goats Cheese Cheese Making KitThis cheese making kit contains what you need to make your own goat's cheese Chevre. Within a few hours of opening your cheese kit you could be eating the freshest goat's cheese you are ever likely to taste. Every kit will make as much as 1.4kg (3lbs) of fresh cheese. Making cheese is both fun an rewarding. You can seriously impress your friends when you pull out a log of herb encrusted chevre and proclaim “I did that!” These are not big cheese making kits, but still make lots (1.4kg) of cheese in several batches. 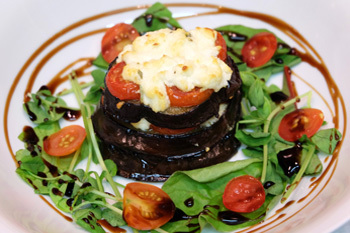 The fresh goats cheese you create can be served fresh or used in any number of recipes. You'll need approx 3 pints of milk for every pound of cheese you intend to make – although the amount of goats cheese you make will depend upon the various factors, such as the diet/age of the goats. Every kit contains full instructions for making the goat's cheese and some ideas for recipes to try out once you've created your cheese. The kit makes a soft crumbly cheese and is a great introduction to the world of cheese making, once you have made your first cheese you can start experimenting with new ideas and recipes. This kit is not intended as a toy, but with supervision making cheese with children can be a very rewarding experience. 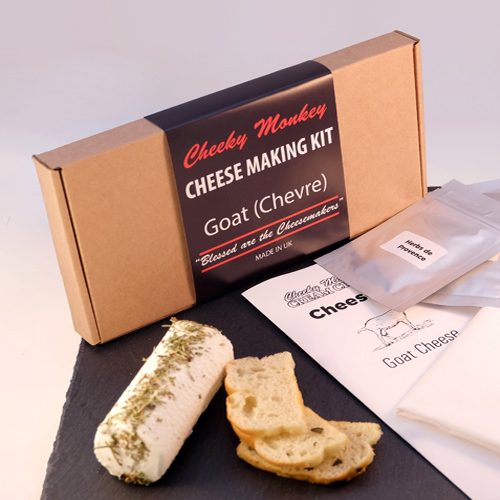 Cheese Making KitGoat Cheese Kit: Size: 230mm x 110mm x 22mm Weight: 91g Contains: 17g Cheese Salt 17g Citric Acid 2g Herbs De Provence 1 Cheese Cloth Square Instruction Booklet The kits do not contain milk or thermometer. The amount of goats cheese you make can vary and might be more/less than stated here. 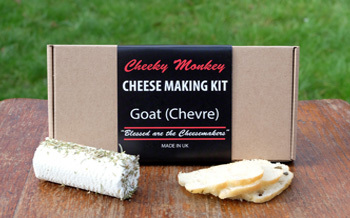 This cheese making kit contains what you need to make your own goat's cheese Chevre. Within a few hours of opening your cheese kit you could be eating the freshest goat's cheese you are ever likely to taste. Every kit will make as much as 1.4kg (3lbs) of fresh cheese. These are not big cheese making kits, but still make lots (1.4kg) of cheese in several batches. 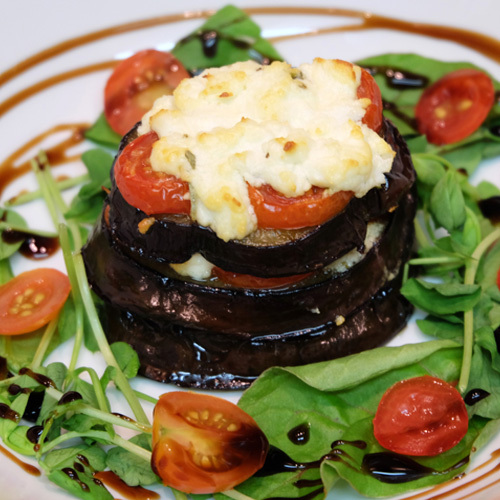 The fresh goats cheese you create can be served fresh or used in any number of recipes. 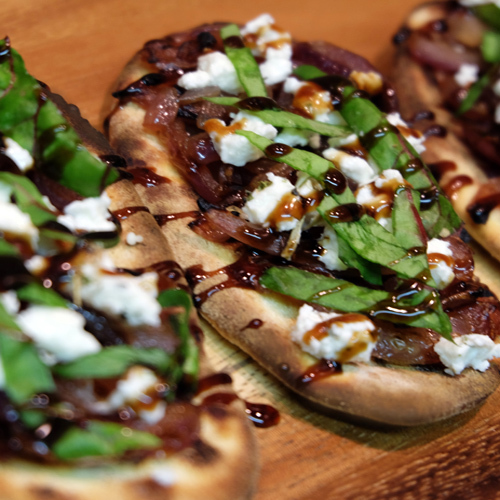 You'll need approx 3 pints of milk for every pound of cheese you intend to make – although the amount of goats cheese you make will depend upon the various factors, such as the diet/age of the goats. 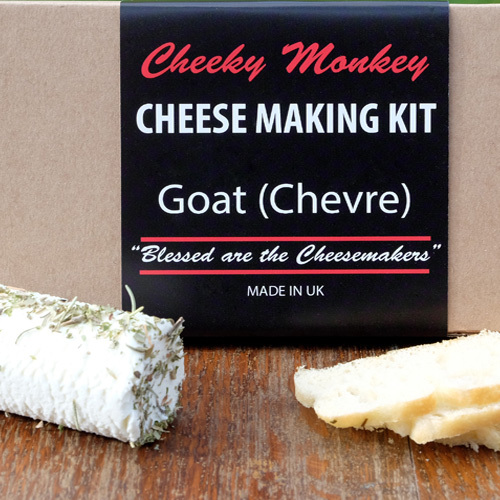 Every kit contains full instructions for making the goat's cheese and some ideas for recipes to try out once you've created your cheese. The kit makes a soft crumbly cheese and is a great introduction to the world of cheese making, once you have made your first cheese you can start experimenting with new ideas and recipes. This kit is not intended as a toy, but with supervision making cheese with children can be a very rewarding experience. The kits do not contain milk or thermometer. The amount of goats cheese you make can vary and might be more/less than stated here.